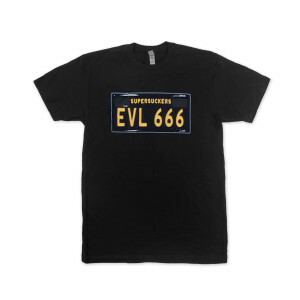 EVL 666 T. Hides my beer belly, good for me, good for all. Super fast delivery to Wales too. Ta very much! This merch site is one of the best! Quality stuff. Really quick delivery even though I'm in Canada. I figured my order would take 2 months to get across the border & I`d be strip searched when I picked it up, but no such luck. Thanks again!